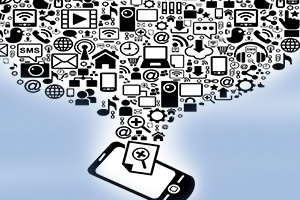 Varchas focused on developing mobile applications. A dedicated team of experienced professionals with almost 5+ years of experience developing mobile applications. The team is not only creativity and enthusiasm, but also new insights, which balances the needs of the customer experience and years of practice. Our aim is to create advanced mobile application solutions that deliver business customers real added value. In addition to we offer both our own distribution channels and through the App Store, Android Marketplace, and the Windows Phone Store. If you are looking for an Enterprise Mobile Application Development Company where everybody is ready to walk that extra mile, you are at the right place Varchas stands out from rest of the app development companies because we analyze the use case of how the apps will be used by your employees. Yes, we have use case experts who analyze each screen and button to make sure they are user-friendly. We have consultants and developers who are experts in writing complex server-side code for integrating your B2B mobile application with existing databases & legacy systems. The B2B application developers in our company utilize push notifications effectively to refresh data in your company's mobile app. This is important for apps that are used on field or on road by your employees. Varchas want to become a major player in the development of mobile. To achieve our goals we do maximum, compliance with standards is natural for us, as well as other principles and methodology development. If you are looking for an Enterprise Mobile Application Development Company where everybody is ready to walk that extra mile, you are at the right place.